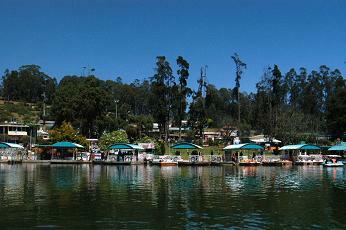 Ooty tourism gives visitors to south India a chance to experience Kerala's neighbouring state of Tamil Nadu. Different in language, culture and atmosphere it sometimes feels like another country, though Ooty is only a short distance over the border. 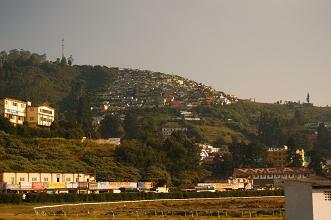 The town of Ooty nestles in the Nilgiri hills, or 'blue mountains' as they are often referred to. Busy streets sell gold jewellery, hand-made chocolates, coffee, tea, warm clothes and trinkets. The buildings are an eccentric mix of faded colonnial grandeur, scruffy concrete and ancient Hindu temples held together by a tangled web of electric cables. In the distance, Eucalyptus and tall spindly pines peer down on the tarpaulin rooves of colourful covered markets and the hills rise, still and green. The nearby hill-stations of Coonnoor and Kotagiri are an option for visitors wanting to enjoy Ooty tourism in quieter surroundings. Botanical Gardens One of the oldest heritage gardens in the world Ooty's botanical gardens were designed in 1848 with the help of W.G. McIvor from Kew Gardens. They are peaceful and very well kept with a great variety of mature trees, a glass fern house and attractive rockeries. The entrance is off Woodhouse Road, north of Charing Cross roundabout. Trekking Hotels and guesthouses act as mini Ooty tourism centres and will be keen to arrange trekking for you. There are plenty of options for exploring the surrounding hills, so if you want a guided walk, have a look at a few before you decide. Guided treks will cost between R.300 and R.900 a day. Lake and Thread Garden Ooty's Reflections Lake lies to the south west of Charing Cross beyond the train station and racecourse. Pedal or row boats are available to hire. The nearby Thread Garden is worth a look, simply because you will remain ever-curious if you do not! Forget Your Jumper And you have the perfect excuse to wander around the stalls and markets that surround Commercial Road and Charing Cross, Ooty's main roundabout, where you can pick up cheap, woolly clothes. Watch Ooty Sparkle If you go down Hospital Road from the Police Station near Commissioner's Road at night you will see the lights of Ooty sparkle beneath you like a valley of stars. There is a Chinese restaurant called Shinkows opposite the police station to further justify the excursion. A miniature steam train connects Ooty to the rest of the world, and is by far the most romantic way to reach this destination. It travels for 5.5 hours through the hills, tea fields, forests and waterfalls departing from Mettupalayam in Tamil Nadu. The train leaves Mettupalayam at 7:20 a.m. or Ooty at 3p.m. (3.5 hrs) but you will need to arrive at least 45 minutes early to guarantee a seat, or book up to 24 hrs ahead at the rain station. Buses arrive/depart from the main Bus Stand which is between the lake and the racecourse and opposite the train station. Frequent buses leave for Coonoor and Kotagiri and other services depart to various Tamil Nadu/Karnataka destinations (one even goes all the way to Chennai). 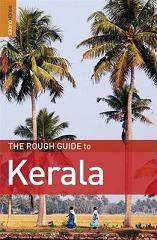 Coimbatore in Tamil Nadu is useful if you want to catch an onwards train to Kochi or Chennai. The main Bus Stand and the train station are opposite one another sandwiched between the lake and the racecourse. Cheap accommodation can be found around here, try opposite the lake for some quiet options. Charing Cross roundabout is to the north east and is approached via the stalls and shops of Commercial Road or Main Bazaar Hill. The botanical gardens are to the north of Charing Cross. If you visit the Ooty tourism office you will be able to pick up maps of Ooty and the surrounding area. It is off Commercial Road - take the steps beside the Kairali Shop (rickshaw drivers will usually know where this is) and bear right. Ooty tourism increases dramatically during the racing season which runs from the middle of April to June. The course is 2268m above sea level, and horses compete for the Nilgiris Gold Cup among other prizes. In racing season, expect Ooty tourism to cost more than usual with accommodation prices particularly affected. Out of season the racecourse is a rather sorry and unsanitary sight. We stayed at Hotel Green Valley which is on the north side of the lake. Just outside of town and with pleasant views it was an enjoyable stay. The rooms were a little scruffy (but cosy) and hot water is ordered in a bucket, but it is inexpensive and we found the staff very friendly and knowledgeable about Ooty tourism attractions. If you are not on a budget, there are some beautiful accomodation options just outside of town. Try Lymond House (tel 2223377) on Sylks Road for R.3000+ or King's Cliff (www.kingscliff-ooty.com) R.1500 - R.4000. Bakeries in town such as Virtue Bake on Kelso Road (near the Botanical Gardens) sell freshly baked bread and cakes - great for picnics and snacks. If you have been eating Indian food for weeks/months and want to remind yourself of what western food tasted like, visit the diner-style Sidewalk Cafe on Commercial Road just before Charing Cross. Their menu (slightly higher prices than usual) includes a wide range of pizzas, salads and pastas, and home-made chocolate is sold at the entrance. I seriously recommend their macaroni, cheese and mayo salad with local Nilgiri tea. If you want a beer you will find bars extremely thin on the ground up here in the hills. We found a dingy but strangely appealing bar in the Blue Hills Inernational Hotel which is by the roundaboat up Church Hill Road. Shinkow's Chinese restaurant is up here too on Commissioner's Road. Seasons: summer - March to May/June, monsoon - June/July to Sept., winter - Oct. to Feb.
At all times of year bring warm clothing. Monsoon may make some areas inaccessible. 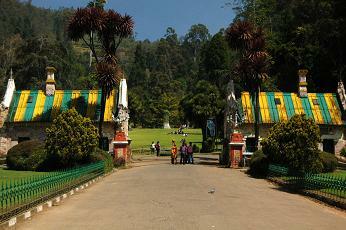 Ooty tourism main seasons April-June and Nov.-Jan. The Nigiri steam train is one of the most unusul ways of travelling in India. Look at our getting around page for more methods of transport in India.